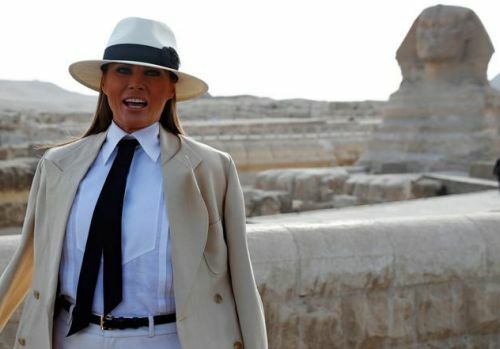 US First Lady Melania Trump racked up an astonishing $95,000 tab at a Cairo hotel at the end of her African goodwill tour last month, according to federal records. That was more than the taxpayer bill for US President Donald Trump for a two-day stay with his entourage in Scotland after a visit this summer to England, noted Quartz, which was the first to report Melanias Cairo tab. The US first ladys spokeswoman, Stephanie Grisham, was furious that the initial report later picked up by The Hill said Melania Trump spent the night at the Semiramis Intercontinental Cairo. In fact, she spent only six hours there, Grisham told both Quartz and The Hill in angry Twitter posts. Grisham complained that, sadly, the damage from this false reporting is done, referring to The Hill as if the fact that it cost taxpayers $95,000 for a mere six-hour visit instead of for an overnight stay was somehow more understandable. Grisham also called the Quartz report irresponsible journalism. Nevertheless, federal records state that $95,000 was paid to the Cairo hotel on September 30.